UPDATE ONE: One of the games listed with The Last of Us 2 by Sony PlayStation on their coming soon page has just had its release date confirmed. Remedy's next title, Control, will launch on August 27 for PC, PlayStation 4 and Xbox One and is the latest title from the PS4 Coming Soon page to have its launch window confirmed. 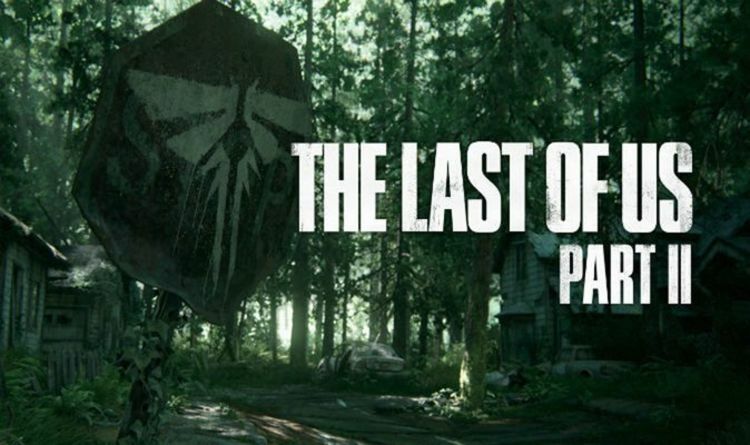 Fans are hoping that a new State of Play live stream event will be held in the coming weeks for The Last of Us 2 Part 2, confirming the new PlayStation title's release date for 2019. ORIGINAL: Fans hungry for news regarding one of the biggest PS4 launches still to come just received an interesting update. According to Sony PlayStation, The Last of Us Part 2 is “coming soon" which could mean a 2019 release date is set to be revealed. The tech giant remains pretty tight-lipped on their plans for major first-party releases, with Days Gone the next to be launched. Meanwhile, titles like The Last of Us 2 and Death Stranding continue to offer little in the way of launch schedules. The good news is that a recent PlayStation update may point to something being announced very soon. Official PlayStation sites have seen a recent change which includes The Last Of Us 2 being added to a “Coming Soon” list of games. And while this doesn’t provide concrete proof that Sony will be revealing all on the big Naughty Dog project soon, the games it shares the list with are interesting. It includes Days Gone, Rage 2, Mortal Kombat 11 and Control, among others, some of them being released later this month. So if The Last of Us 2 is being put in the same category as these soon-to-be-released games, doesn’t that bode well for gamers hoping to play it this year? There have been a number of low-key leaks that have suggested The Last of Us 2 could be arriving at various times in 2019. A recent retail leak suggested it could happen in October, while others have pinned it closer to Springtime. Sony isn’t afraid to launch games outside of the busy holiday months; God of War arrived in April 2018, while Marvel’s Spider-Man hit shelves in September. So while the October release date sounds pretty convincing, there’s nothing official to suggest that’s the month it will happen. It should also be noted that this isn’t coming from Sony and should be taken with a big pinch of salt. The new "coming soon" tag also raises some questions regarding Sony’s recent State of Play live stream event. This included all the latest information from the company but didn’t cover much in the way of big AAA announcements. Days Gone was featured, but that makes sense given that it will be released later this month. It raises questions over when Sony will be running their next event, what with the company skipping E3 this year. Could we see another State of Play, dedicated to the Naughty Dog sequel, announced in the coming weeks? Fans will need to keep a close eye on any new hints dropped by Sony PlayStation. Here’s the latest information shared by Naughty Dog on The Last of Us 2, which is looking to improve on what was available in the original game. “In The Last of Us Part II, Ellie is now 19 and has found a semblance of peace and normality living in Jackson, a message from Naughty Dog explains. “She’s had a chance to be a teenager and forge lasting relationships. When that peace is disrupted by a violent act, Ellie is thrust into a brutal journey of retribution, fueled by a need to bring those that have wronged her to justice, pushing her to her very limits. “From the way Ellie plays to the way she navigates through this hostile world, you’re going to feel her physical, emotional, and mental state expressed through every facet of gameplay. “We’ve completely overhauled our engine, developed new combat mechanics, created a new analog stealth systems, and revamped our animation system to fully express Ellie’s desperation, resourcefulness, and unique agility. “We’re also upping the stakes and tension of the world. Our environments are broader, more complex, and more detailed--bringing unprecedented realism, verticality, and player choice to the world of The Last of Us.